Thank you for visiting our webpage. The Assistance League of Capistrano Valley and the Assistance League of Laguna Beach will be hosting our next Infant and Toddler new clothing and diaper give away at the San Onofre Transition Center located at the NORTH end of the base. 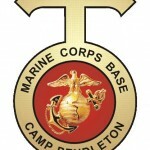 This event is for active enlisted Marine and Navy families currently stationed at Camp Pendleton. The event will be held on Thursday March 28th from 9:00 AM until Noon. This event is one morning only! If you feel you may be unable to attend, please consider not making an appointment. We will have a variety of new Spring/Summer clothing for children sizes newborn to 4T as well as diapers size newborn to size 6. NO pull-ups are provided. You must have an appointment to attend. You can sign up on this website by filling out the form below and submitting no later than March 7th . We will close reservations after we have received requests from 400 families. Due to the large number of no shows for appointments in the past we are asking you to only sign up if you are sure you can attend. We do not want to turn away any families we may have been able to help. We look forward to seeing you and your children on March 28th. Thank you to all our military families!